ISBN 9790006559565. 30 x 23 cm inches. Text Language: English, German. Preface: Kurt Sassmannshaus / Christoph Sassmannshaus / Melissa Lusk. 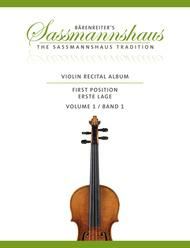 These two collections (BA 9668, BA 9669) give young students and teachers a rich selection of recital pieces, either to complement the SassmannshausEarly Start on the Violinmethod or to play independently from it. As all the pieces are written entirely in first position, they can be used after just a few months of lessons. The piano part may be played by the teacher or an advanced student. As an alternative, the accompaniment can be played by a second violin. All the pieces are available in exemplary recordings on YouTube. Nursery rhymes, folksongs but also less well-known gems, as well as original pieces by the editors, all precisely tailored to meet the needs of young students. 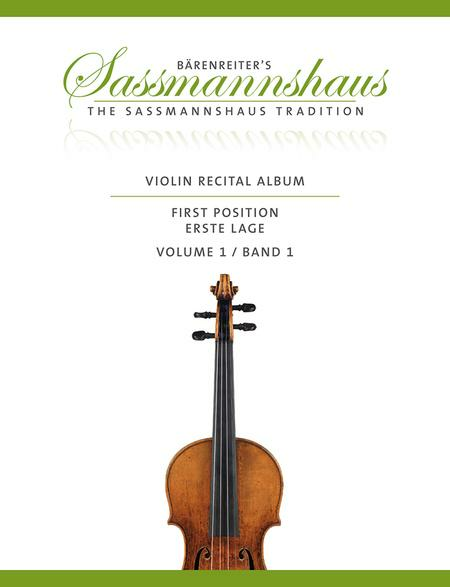 Kurt Sassmannshaus, the editor of a great many string editions in the Barenreiter catalogue, continues the tradition founded by his father Egon Sassmannshaus in theEarly Startstring methods. He developed these two new editions together with his wife Melissa Lusk and his son Christoph Sassmannshaus. Similar editions are in preparation for the cello.